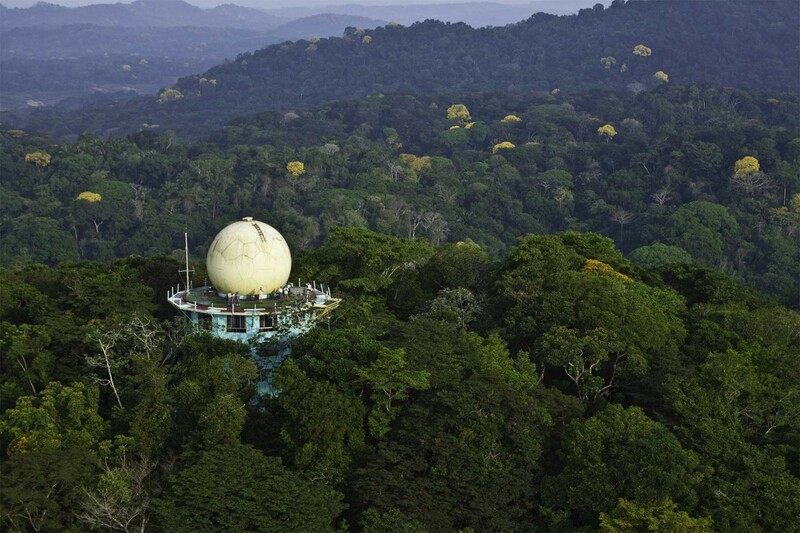 A birdwatcher’s idyll, the Canopy Tower is a converted former US military listening post. 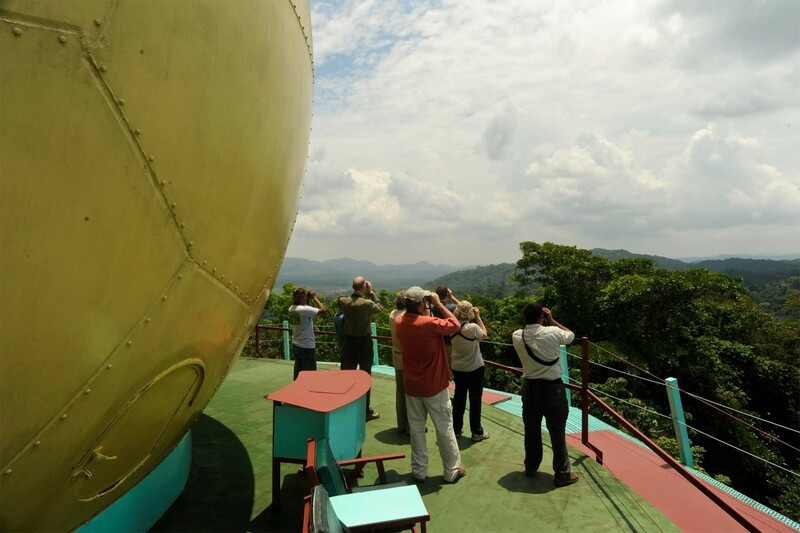 You can see the huge 30ft orb on the viewing platform at the top of the cylindrical metal structure, where the electronic surveillance equipment was housed. 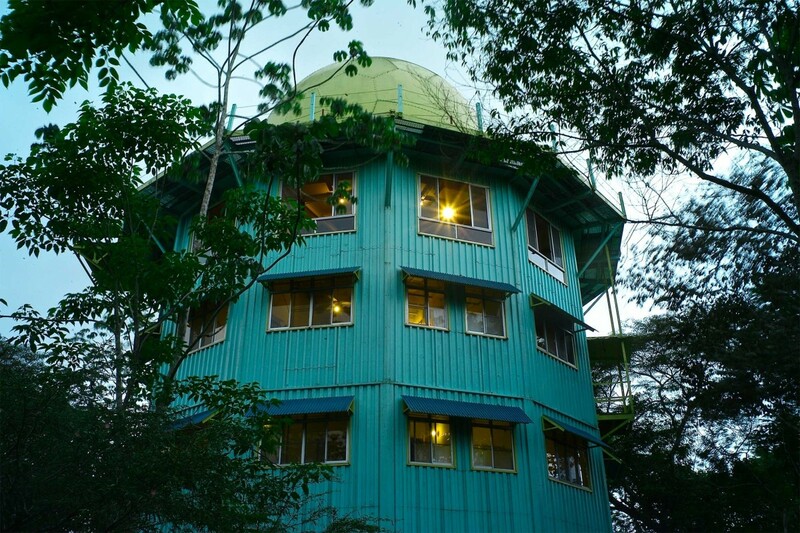 The lodge is located at 900ft above sea level on top of Semaphore Hill, in tall, semi-deciduous rainforest in the heart of Soberanía National Park. There are trails through the surrounding forest, and a ten-minute drive takes you to the gate of the famous Pipeline Road that runs for 11 miles through wetter forests of Soberanía. 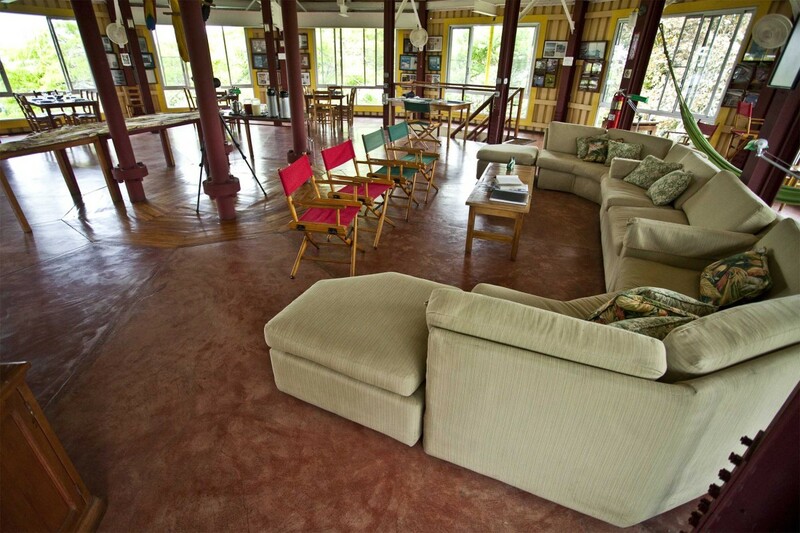 The lodge offers 12 comfortable rooms with two suites, five twin rooms and five single rooms. The suites and twin rooms have a private bathroom and hot water, whilst the single rooms have shared facilities. 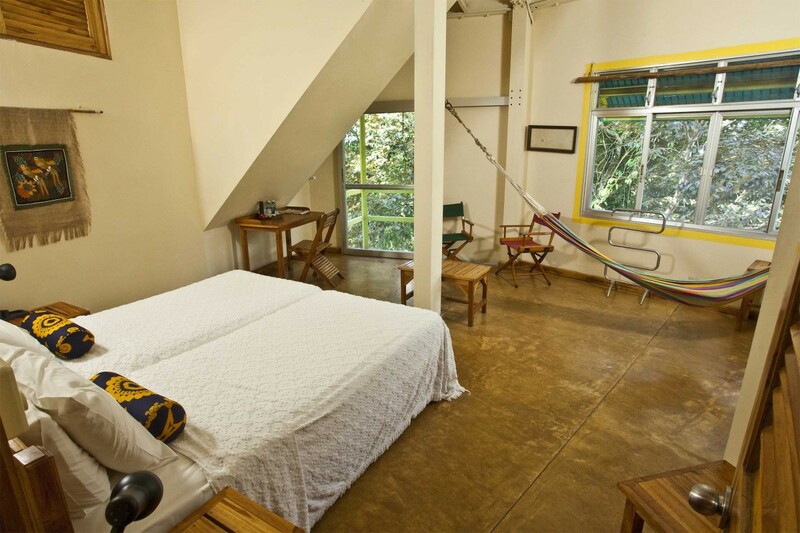 All rooms are located at tree top level and offer spectacular views of the surrounding bird-filled forest canopy. Almost 600 bird species, at least 256 varieties of butterfly, 57 mammal species including three- and two-toed sloths, and silky anteater. The Blue Cotinga Suite is the best room. This lodge is very much for birders, so if you’re not that keen on birds, it’s best to choose an alternative. 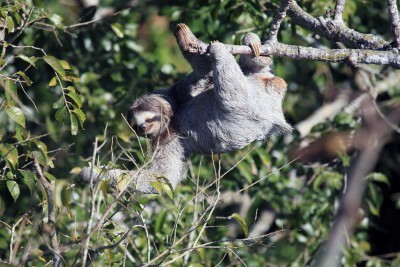 Panama is a lovely country and still relatively unspoilt. 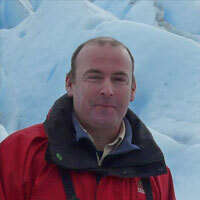 It was a fascinating and enjoyable experience. We had a wonderful holiday overall; thank you for organising it.